For virtual attendance, join here. The portal will open 30 minutes before the session begins. 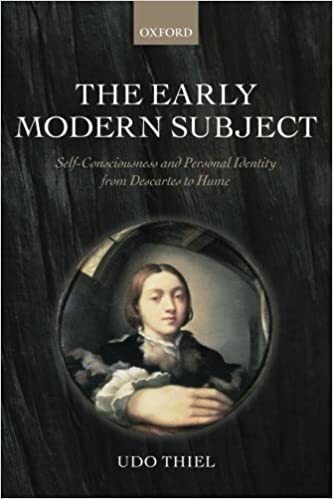 A great opportunity to dive into early modern identity questions (if you weren’t sucked into those already). The conference program for Life and Death in Early Modern Philosophy, to be held in London on April 14–16 this year, has been announced. And it’s looking good. The division between authors into rationalist and empiricist is often deemed artificial. A frame imposed on early modern philosophers, not of their own making. That between speculative and experimental philosophy, by contrast, is one that also authors in the seventeenth century would have been able to identify with. Such resonance makes it extra exciting that NYU is holding a conference on experimental philosophy with a historical bend, Experimental Philosophy Through History, on February 20th. Areas discussed range from intuition in Confucian ethics to neo-Kantian anti-empiricism, via Hume, Locke, and decapitation. Full conference details on the dedicated site. Mr. Locke divides all arguments into demonstrative and probable. In this view, we must say, that it is only probable all men must die, or that the sun will rise to-morrow. But to conform our language more to common use, we ought to divide arguments into demonstrations, proofs, and probabilities. By proofs meaning such arguments from experience as leave no room for doubt or opposition. This echoes a similar passage in the Treatise (T 1.3.11.2), where Hume divides “the several degrees of evidence” into knowledge, proof, and probability. These passages, as well as letters such as the anonymously penned Letter from a Gentleman seem to suggest that Hume divides probable arguments into those that do not produce certainty (probabilities) and those that can or do (proofs). Presumably, proofs produce “moral certainty” in the early modern sense. (Hume appeals to “moral certainty” in the Letter to counter accusations that he undermines demonstrations of the existence of God and is therefore a skeptic and atheist). I find Hume’s defense in the Letter less than convincing for a number of reasons, but let me offer two here. Hume’s opponents were correct to recognize that Hume doesn’t really have a place for “proofs” in this technical sense. First, Hume is clear in T 1.3.1 that knowledge comes from intuition and demonstration. Other than the passages mentioned, Hume only talks about certainty in connection to knowledge. Furthermore, the reason given in T 1.3.1 for why we can be certain is that intuition and demonstration rely on unalterable relations. (See also T 1.3.3.1-3.) The argument isn’t terribly clear, but it seems that if the relations between our ideas are alterable (“so long as the ideas remain the same”) then we couldn’t be certain on the matter. Because probable arguments (presumably; I don’t see him argue that they must) rely on alterable relations, they could not produce certainty, even moral certainty. Second, Hume is careful in the Treatise and again in the Enquiry to note that philosophers should only distinguish demonstrations and probable arguments. It is only “to conform our language more to common use” (Enquiry) or when “in common discourse” (Treatise) to separate out a third category of evidence. (Note: he makes no effort to fix the potential misreading in the Enquiry.) Philosophers do and should recognize two categories of arguments. This might disturb the common folk, so we should speak of very high probabilities as “proofs,” but this is only for common use, not when doing philosophy. I am convinced by these two reasons (and some other, less important ones) that Hume does not have a distinct category of proofs (probable arguments which produce moral certainty) when speaking philosophically; such use is only an accommodation to those common folk worried that it is not certain that the sun will rise tomorrow. However, this seems to cut against a currently popular reading of Hume, which claims that Hume considers certain many things (such as the causal maxim) that are not established via intuition or demonstration. Often these readers appeal to Hume’s unpublished letters, which I find problematic. On my opponents’ behalf, I wonder if something could be made using different kinds of certainty (epistemic vs. psychological, say), which has some traction in the texts. Hume’s use of the terms is frustratingly inconsistent, so it is difficult to know how to proceed on this point. (One starting point could be Of the Passions, where he separates out two kinds of probability.) Until we have a fuller working out of the notions of certainty and probability, I think we should follow Hume’s suggestion and take talk of “proofs” as an accommodation to common use. Locke makes use of Adam in a colorful explanation of how names are established for ideas of mixed modes and substances. He writes: “Let us suppose Adam in the State of a grown Man, with a good Understanding, but in a strange Country, with all Things new, and unknown about him; and no other Faculties, to attain the Knowledge of them, but what one of this Age has now” (III.vi.44). This is a useful trope. It allows Locke to develop a thought experiment in which someone, uncorrupted in just the right way, invents a term and shapes the idea associated with it. The distinction Locke illustrates with this example is as follows. In developing his ideas of certain mixed modes (in this case jealousy and adultery albeit denominated by the names ‘Kinneah’ and ‘Niouph’), Adam “puts Ideas together, only by his own Imagination, not taken from the Existence of any thing [nor from] considering whether any such thing did exist” (III.vi.46). Here, according to Locke, Adam “has a Standard [for what constitutes an instance of either Kinneah or Niouph] of his own making” (ibid). In developing his idea of a certain substance (gold albeit denominated by ‘Zahab’), Adam “takes the quite contrary Course; here he has a Standard made by Nature” (ibid). I want to ask whether anyone has come across an interesting example in which Adam, Eve, or a “person…on a sudden transported into our world” is used to illustrate a certain philosophical view (Treatise 2.1.6.9; SBN 293). An example that uses Eve should be especially prized, since, so far as I can tell, she is mentioned far less frequently than Adam. My favorite is an example from Joseph Glanvill’s Vanity of Dogmatizing (1661). But the example I have in mind is best appreciated when paired with an example from Hume. Hume takes our judgments about causal relations to depend entirely on the customary associations formed on the basis of repeated experience. And there is a passage in the Abstract in which Hume draws upon Adam to persuade his reader of the truth of this view. Hume writes: “Were a man, such as Adam, created in full vigour of understanding, without experience, he would never be able to infer motion in the second ball from the motion and impulse of the first” (A 11; SBN 651). Hume draws two conclusions from this consideration of Adam. The first is that “It is not any thing that reason sees in the cause, which makes us infer the effect” (ibid). The second conclusion concerns what must be the case in order for Adam to judge two objects or events to be causally related. Hume states: “It would have been necessary…for Adam (if he was not inspired) to have had experience of the effect, which followed upon the impulse of these two balls. He must have seen, in several instances, that when the one ball struck upon the other, the second always acquired motion” (ibid). 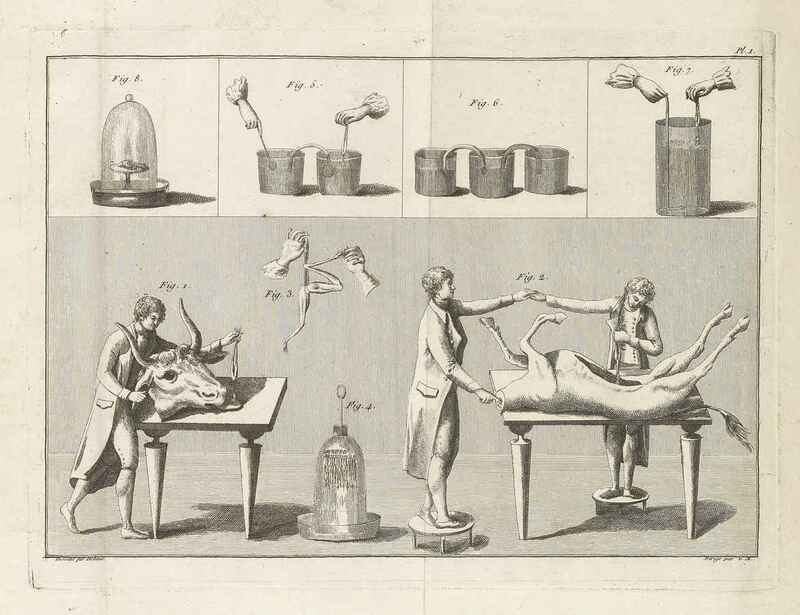 In a slightly different example in the Enquiry, Hume says of Adam that “though his rational faculties be supposed, at the very first, entirely perfect, [he] could not have inferred from the fluidity and transparency of water, that it would suffocate him, or from the light and warmth of fire, that it would consume him” (4.6; SBN 27). This list might pass for a compendium of contemporary philosophical and scientific mysteries. What is important about such instances of causation is that thinkers in the seventeenth century had made little progress in explaining them at the same time as some thinkers made rather bold claims to certainty and clarity in matters of investigating causal relations. As it seems to me, the Adam we find here may have been intended to represent the epistemic ideal to which such metaphysical thinkers are committed. It is an ideal, according to Glanvill, which is as easily parodied as it is shown to be unachievable. Hence Glanvill opens his argument with this cutting methodological statement: “I’le not move beyond our selves, and the most ordinary and trivial Phanomena in nature, in which we shall finde enough to shame confidence, and unplume Dogmatizing” (16). What Bugs Hume Folks about Reid? I’ve been asked to give a talk this spring to the Hume Society at the Pacific APA on Hume’s early critics. Given my area of expertise, I’ll be talking about Reid. But I don’t want to just go through the litany of criticisms that Reid launches against Hume. Reid’s criticisms of Hume are very misleading. First, he often uses Hume as a name for a wider set of philosophical views and methods to which Reid is opposed, and of which Hume is probably not guilty. Second, his critical project is so brief and sketchy because he is not interested in criticizing the consequences of what he calls the ‘theory of ideas.’ The consequences of that broad philosophical project are unacceptable, Reid thinks, but he is more interested in replacing the assumptions and methods that lead to those consequences. And what he replaces it with is an alternative to which Humeans broadly construed, should be friendly. It is, after all, intended as a naturalist, empiricist science of man. So I’d like to think about this differently. My sense is that Hume folks who know something about Reid really, really do not like him. Now, on the one hand, Reid can be both sloppy and snide in his remarks about Hume. On the other hand, these are not philosophically interesting. So what I am wondering is this: what is it about Reid (other than his rudeness) that Humeans don’t like? I’m asking this because I’d like to address those antipathies in the hopes of bringing these two figures into closer conversation among historians of philosophy and among contemporary folks who take themselves to be philosophical descendants of Hume. Any ideas?